Coffee tables are often the centerpiece of your living room, so you’ll want to choose a piece of furniture that’s both stylish and built to last. Mission coffee tables make a fantastic addition to your living room or family room — especially if you’re looking for a unique accent piece. Our Mission style coffee tables are available in a wide variety of styles and designs. At the same time, they’re constructed according to the classic Mission style that originated in the late 19th century. Straight lines and flat panels highlight the natural grain of the wood. 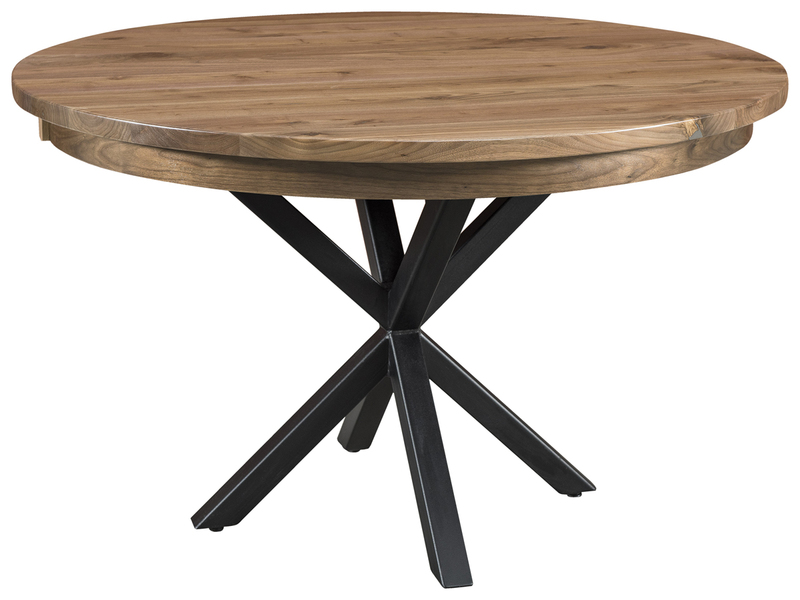 All our Mission coffee tables are constructed from the highest quality kiln-dried hardwoods. Since we always use solid wood, our furniture is very durable and can withstand the everyday wear and tear it may be exposed to from children and pets. The simplistic design of Mission style coffee tables will complement your existing furniture, but it also pairs perfectly with other pieces in our collection of Mission style living room furniture. Our Mission style coffee tables are available in a number of different wood types and stain finishes, including oak, cherry, Q.S. white oak and maple. Each wood type has a unique grain pattern. We also carry a large selection of stain colors. Whether you prefer lighter or darker finishes, we’re sure to have a color that matches your existing furniture. Our Mission coffee tables come in a number of shapes and sizes, too. You can choose from round, square or rectangular coffee tables with or without drawers. We even offer lift-top Mission coffee tables perfect for doing homework or working on your laptop. Our customization options are endless because we want to satisfy the needs of all our customers. Our Mission coffee tables are built with the highest quality materials by our expert Amish crafters using techniques passed down through several generations. The superior quality of handcrafted Amish furniture will ensure your items last for years to come. 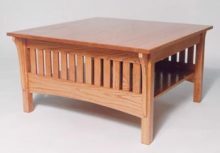 Purchase a Mission coffee table from AmishOutletStore.com today and get up to 33% off the regular retail price!